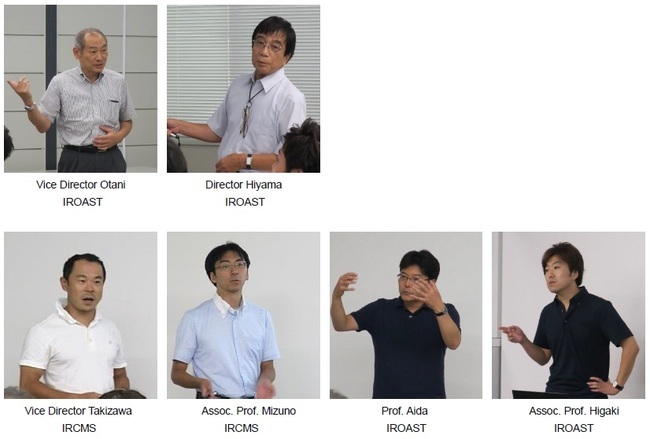 The 2nd IRCMS & IROAST (The International Research Organization for Advanced Science and Technology) Joint Seminar was held on August 21, 2018. The seminar was organized by IRCMS Vice Director Hitoshi Takizawa and IROAST Vice Director Jun Otani. Following Vice Director Otani's opening remarks and IROAST Director Takashi Hiyama's introduction of his organization, two speakers from each organization gave presentations on their research. They received questions from the participants looking for possibilities of new collaborations between engineering and medicine. In the subsequent discussion, the speakers and participants talked about their future plan for medical-technological collaborations. 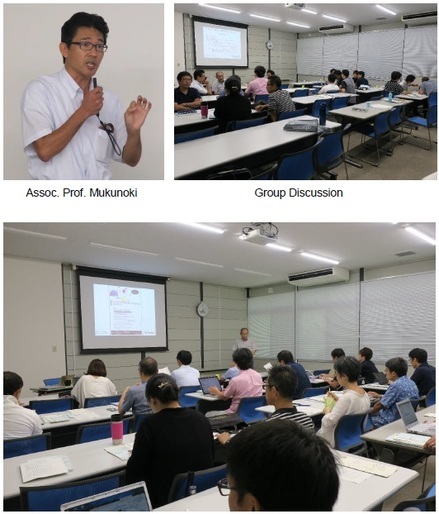 Associate Professor Toshifumi Mukunoki from the Faculty of Advanced Science and Technology gave a talk on his ongoing research project with a research group in medicine as an example of the collaborations. After his talk, the participants divided into four groups by their interests and discussed the possibilities of their collaborations.